One more episode recorded in October before the election but on a topic that will most certainly continue to be of importance in the year ahead – race, racism, and American Buddhism. This one’s a bit heavy, wherein we discuss the problems of discussing race in public discourse and the social and legal construction of racial and ethnic categories in American culture generally and in Buddhism specifically. And follow Angry Asian Man; he’s knows what’s what. 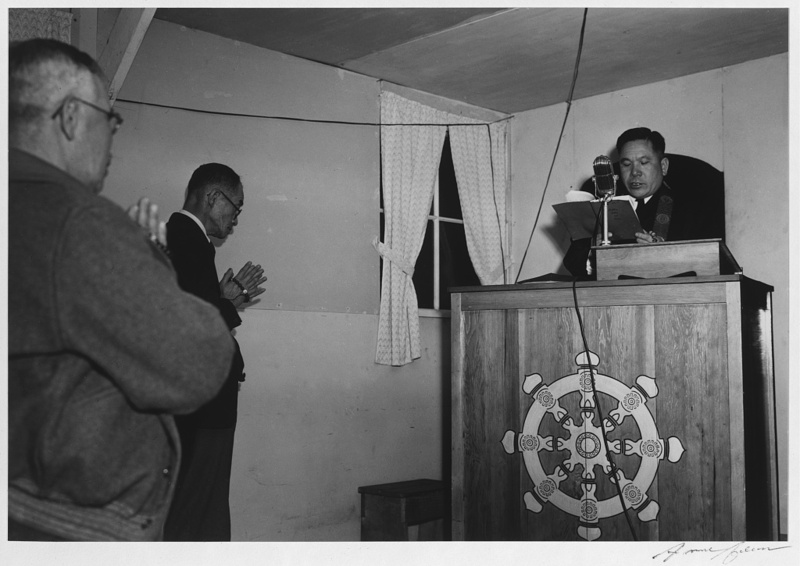 Buddhist service at Manzanar Relocation Center in California, 1943. Photo courtesy the Library of Congress, Prints & Photographs Division LC-A35-6-M-36.